Examining this season’s most eye-catching fabric. Get ready to sparkle and shine: holographic, metallic, and shimmer fabrics are totally on-trend for summer. I, for one, couldn’t be more excited about this trend: Metallic fabrics, despite their obvious look-at-me factor, are actually great basics. 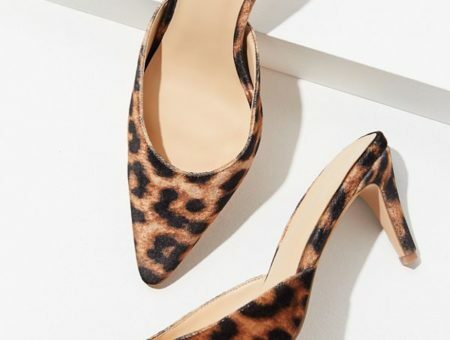 They can play off of almost any color and they look as good on those runway midi skirts as they do adorning your coolest pair of sneakers. Play with the neutrality of metallic fabrics in this first outfit. A metallic gold mini can be a neutral that offsets a crazy cherry blossom print sneaker. The key? Make sure the rest of the outfit stays simple and classic: A white t and a basic denim jacket are perfect pairings. 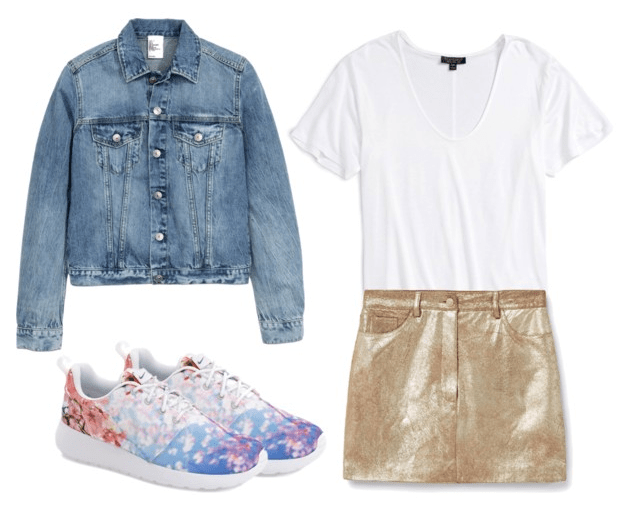 Step up your athleisure look with some futuristic, holographic fabric. This cool holographic sweatshirt pairs well with über trendy Adidas track pants and Superstar sneakers. 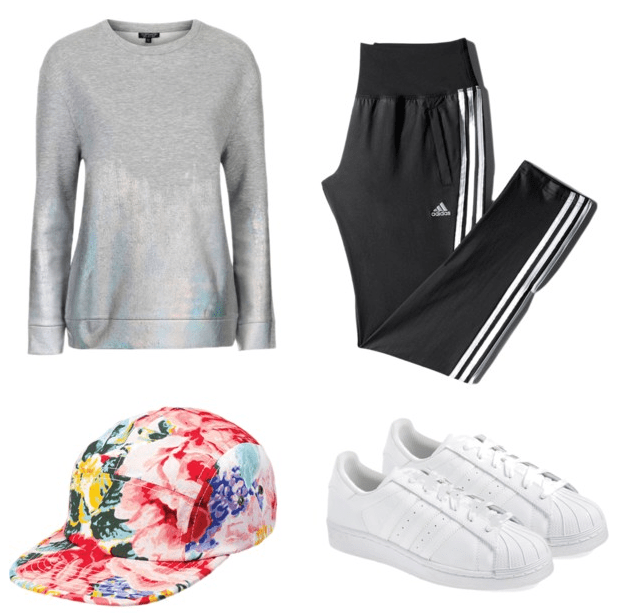 A floral baseball cap adds some interest to the outfit but keeps with the athletic vibe. This final outfit shows that metallics aren’t just fun, they are classically gorgeous. A beautiful gold maxi looks great with an off-the-shoulder bodysuit. Suede lace-up heels will offset the longer length of the skirt. 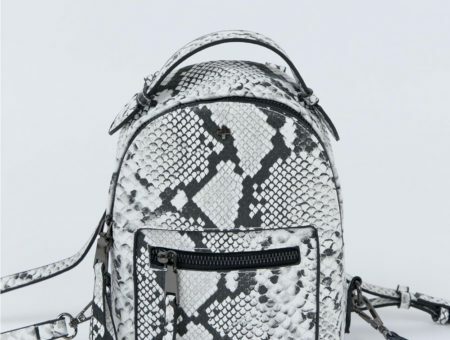 Do you love or hate the metallics trend? Do you have any holographic or metallic pieces in your wardrobe? How do you wear them? Any other trends you’d like to see covered? Leave a comment and let us know! Previous Would You Wear… a Beaded Choker?